Thomas NAZé, Fabrication additive de matériaux polymères à faible réaction au feu . Thesis started in 2018. Other co-advisors: Serge BOURBIGOT, Fanny BONNET, POUTCH Franck. Manon SAGET, Design of biomimetic surfaces for food antifooling. Thesis started in 2018. Other co-advisor: COFFINIER Yannick. Malo DUFAY, Implants viscéraux fonctionnels élaborés par plasma froid atmosphérique et électrospinning . Thesis started in 2017. Other co-advisor: Stéphanie DEGOUTIN. Anne Lise DAVESNE, New Design of thin coatings for fire protection . Thesis started in 2017. Other co-advisor: Serge BOURBIGOT. Laura GEOFFROY, Conception de multimatériaux ayant de bonnes propriètés de résistance au feu . Thesis started in 2017. Other co-advisor: Serge BOURBIGOT. Charlotte LEMESLE, Peintures biosourcées auto-stratifiantes intumescentes . Thesis started in 2017. 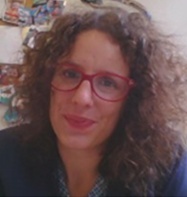 Other co-advisor: Mathilde CASETTA. Sawsen ZOUAGHI, . Thesis defended in 2018. Other co-advisor: Christophe ANDRE. Present position: Professeure en Procédés et Ingrédients Bio-sourcés Teacher-researcher in Biobased Ingredients and Processes Ecole de Biologie Industrielle. Agnès Beaugendre, Self-stratifying flame retardant coatings for plastics. Thesis defended in 2017. Other co-advisor: Mathilde CASETTA. Present position: Chef de projet Arkema. Nicolas Lesaffre, Ageing of flame retarded polylactic acid. Thesis defended in 2016. Other co-advisor: Gaëlle FONTAINE. Present position: Analytical Lab Manager, Tate & Lyle. Hassan Hamze, Metal oxides coatings on glass by cold atmospheric plasma. Thesis defended in 2015. Other co-advisor: Michel TRAISNEL. Present position: Professeur agrégé de Physique Chimie. Kadir Apaydin, Development, characterization and fire retardant mechanism of layer-by-layer and plasma coatings. Thesis defended in 2014. Other co-advisor: Serge BOURBIGOT. Present position: Recherche d'emploi. Ghassan Alogaili, Fundamental approach for fouling growth mechanisms comprehension at a stainless steel surface : development of antifouling coating for stainless steel. Thesis defended in 2014. Other co-advisor: Michel TRAISNEL. Present position: Maître de Conférence à l'Université de Tikrit. Imen Kacem, Textiles with biological activity via the grafting by cold plasma and the immobilization of bioactive molecules. Thesis defended in 2012. Other co-advisors: Bernard MARTEL, Roudesli Sadok . Present position: Maître de conférences en Tunisie. Cédric Zobrist, Building of tunable polymer brush on titanium surfaces for biological applications. Thesis defended in 2011. Other co-advisor: Patrice WOISEL. Hélène Gallou, Improvement of fire behavior of polyamide 6,6 by surface and mass treatment. Thesis defended in 2010. Other co-advisors: René Delobel, Charafeddine JAMA. Mathilde Ferrand, Improvement of colouring glass process : optimization of adhesion of epoxy resin on soda-lime glass. Thesis defended in 2009. Other co-advisors: Michel TRAISNEL, U.Mascke, Charafeddine JAMA. 9 seminars. 117 oral presentation(s), including 31 invited, 1 plenary. 30 poster(s). Detailled list.